Students eligible: All WASH students enrolled a minimum of 9 hours at Sam Houston State University in the spring 2019 semester who have read the book. Prizes (3): Best of Show: $250; Second Place: $150; Honorable Mention: $100. Prompt: “Art is an attempt to capture the truths of the world as you see it in a medium you can share with others. It is about lending your voice, your perspective to local, national, and global conversations.” (Rather, 2017, p. 169-170) What Unites Us: Reflections on Patriotism. 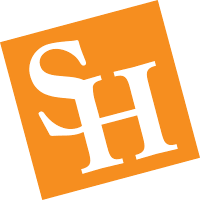 Create art based on the themes presented in the SHSU Common Reader by Dan Rather. Students eligible: All students enrolled full-time in the spring 2019 semester (undergraduates – min 12 hrs., graduates – min 9 hrs., graduates on stipend – min 6 hrs.) who have read the book. Prompt: This competition encourages and recognizes students who are able to analyze the position of educators as agents of change by using the classroom as an environment that encourages children of all ages to consider the of schools’ role in community. Based on the themes of the 2018-2019 SHSU Common Reader, What Unites Us: Reflections on Patriotism, by Dan Rather. Students are asked to create a classroom and/or school environment that employs conceptual and design elements discussed in the book to encourage positive relationships between children, others and the environment. Students eligible: All SHSU students enrolled full-time in the spring 2019 semester (undergraduates – min 12 hrs, graduates – min 9 hrs, graduates on stipend – min 6 hrs). Prompt: Assigned student groups will compete for scholarships at the Deliberative Dialogues event on Monday, March 4, 2019 in the LSC Orange Ballroom. Student groups will use their critical thinking skills to think through a problem tied to the SHSU Common Reader and The American Democracy Project. Student groups will be evaluated on their collective ability to assess information and create a path to action based on facts/information, context, hidden assumptions, and common values. Prizes (2): First Place Team: up to $250 scholarship per team member. Second Place Team: up to $100 scholarship per team member. Prompt: Using What Unites Us: Reflections on Patriotism quote from author Dan Rather (2017) as inspiration, write a poem or lyric that illustrates or explores your experience with one or more of these central themes. Prizes (3): $250 to each of the top three winning entries.